11-52, 13-56, + 12 string set. Perfect round wound string for Vo Tech! Wound 3rd — but see below. Great for electrics, and acoustics too! These strings come in a great selection of gauges. You can get the EPS510 set for 10-46 light gauge use, or the EPS515, light top heavier bottom, or the EPS590 – medium gauge, or the EPS600 which I like to use, except I tune down a tone. Seriously! this is the round-wound to use with all Acoustic Synthesis devices. Do you use the Wond on a bass guitar? Try Pro Steels for bass – they have several bass sets. These work very well with the Wond. 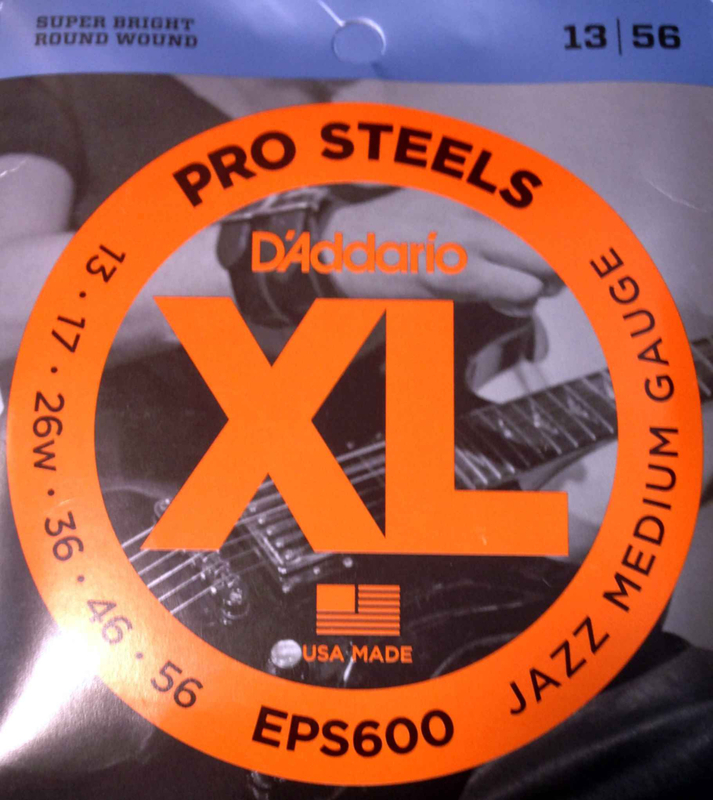 Click through here to the D’ Addario site and the complete “Pro Steels” offering. 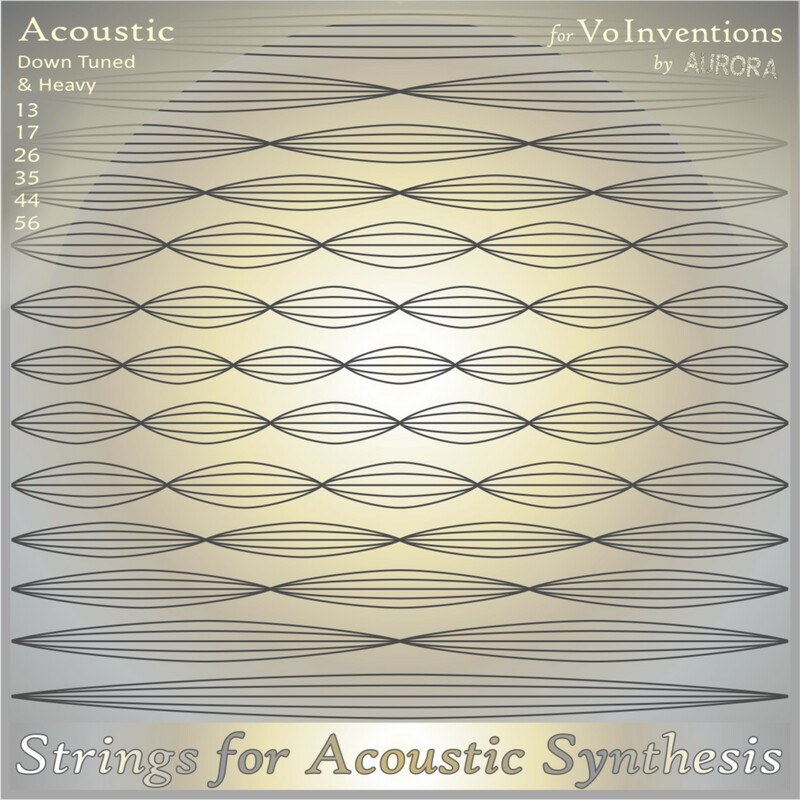 Perfect for all Acoustic Synthesis. Wound 3rd — but see note below. Best Vo-96 harmonics! No Finger noise! 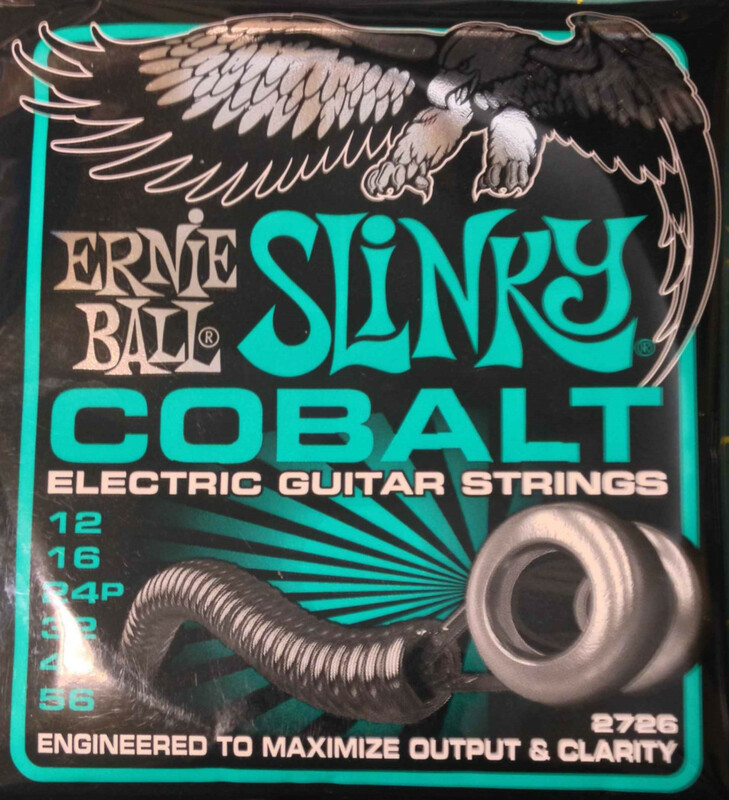 These strings are heavy gauge, 13 – 56. 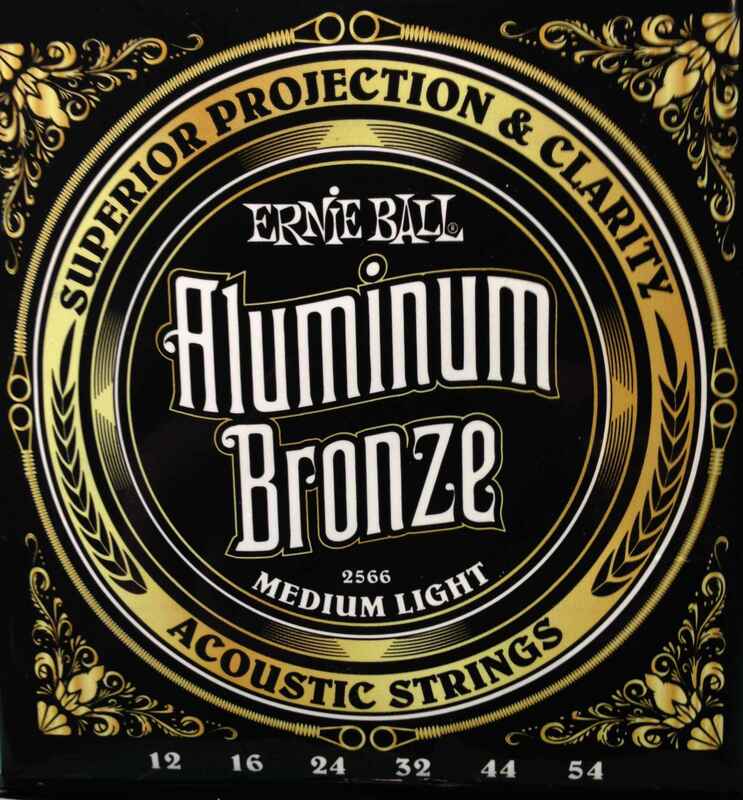 If you use a light-gauge string on your Vo-96 equipped guitar, consider buying this set and using the first 5 strings as your lowest five strings. 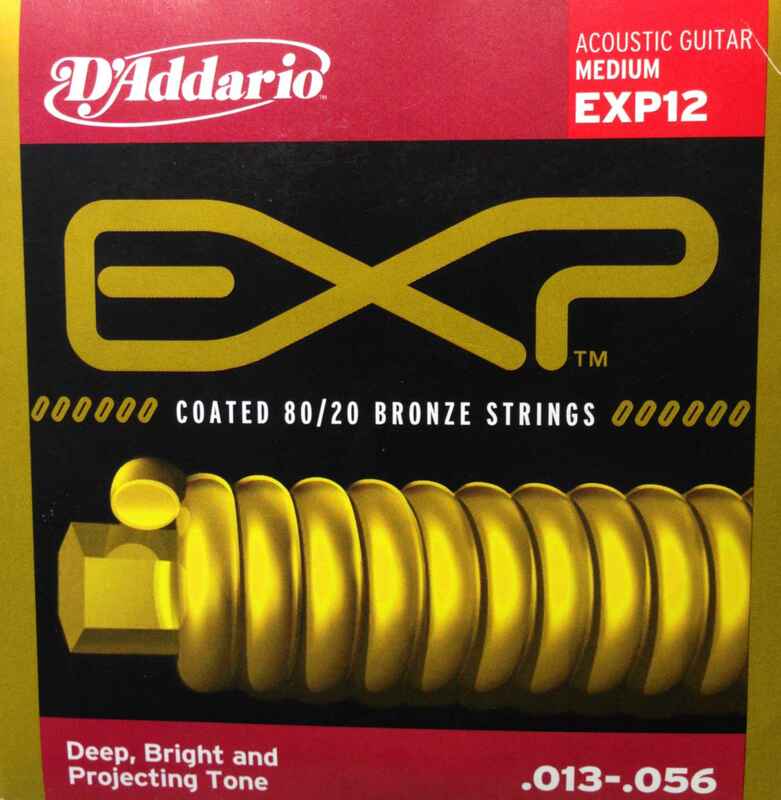 Add a 0.009″ — 0.010″ plain steel string to use as your E1. 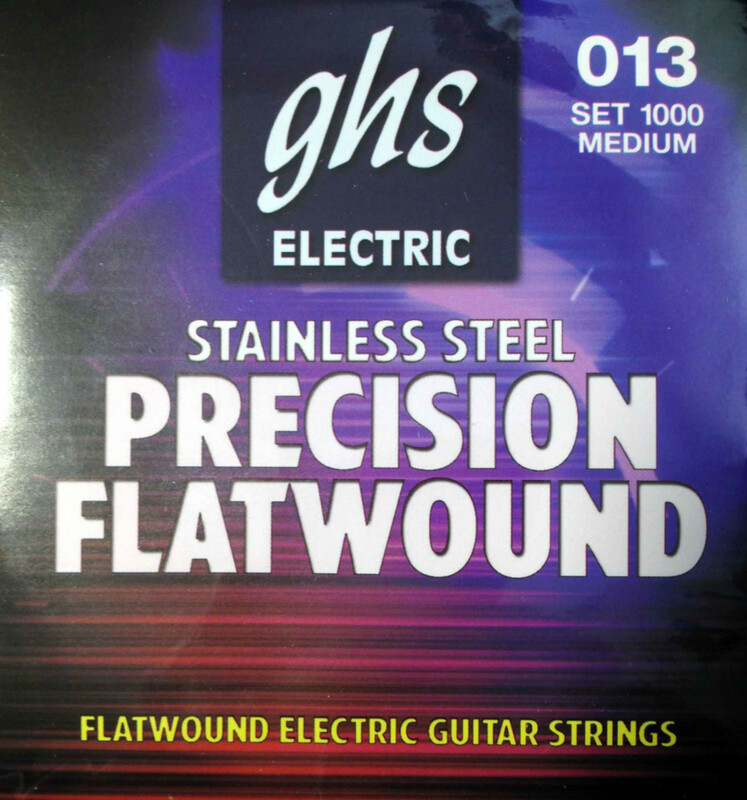 This creates a light gauge flat-wound set of strings that have the best magnetic response of any set I’ve ever tested. You come out with 0.10″, 0.13″, 0.017″, 0.026″, 0.034″ and 0.044″ on the bottom – great slinky light gauge set.